Why Are Record Amounts Of Cash Being Dumped Into Georgia’s Utility Commissioner Race? A low-profile Public Service Commission runoff in Georgia is attracting major campaign cash as the fate of a beleaguered nuclear project hangs in the balance. As the nation closely watched Georgia’s gubernatorial election slugfest, another race was beginning in earnest. Republican Georgia Public Service Commissioner Chuck Eaton failed to receive an outright majority on Election Day — a requirement in the state — which forced him into a runoff against Democratic challenger Lindy Miller. Members of a state public service commission — also known as a public utilities commission — regulate electricity rates, natural gas, transportation and other public utilities. In recent years, conservative commissioners in Georgia have fared very well, with every member of the state’s Public Service Commission (PSC) currently a Republican. Eaton represents District 3, the state’s smallest PSC district that covers the city of Atlanta. Eaton took in 49.7 percent of the total vote on Election Day, while Miller was right at his heels with 47.6 percent. While the runoff election has received scant national coverage, it has witnessed a massive amount of out-of-state money. Miller has received over $1 million in support of her bid — a record amount for that seat. At the same time, Eaton has enjoyed outside spending on his behalf. The campaign arm of the Nuclear Energy Institute — a nuclear energy advocacy group — is spending $750,000 to help get Eaton re-elected. The organization, Nuclear Matters, is funding a group that is running pro-Eaton ads on Facebook. One ad has touted Eaton’s work to lower power rates for the elderly. The money is pouring in as Georgia deals with a controversial nuclear plant project. 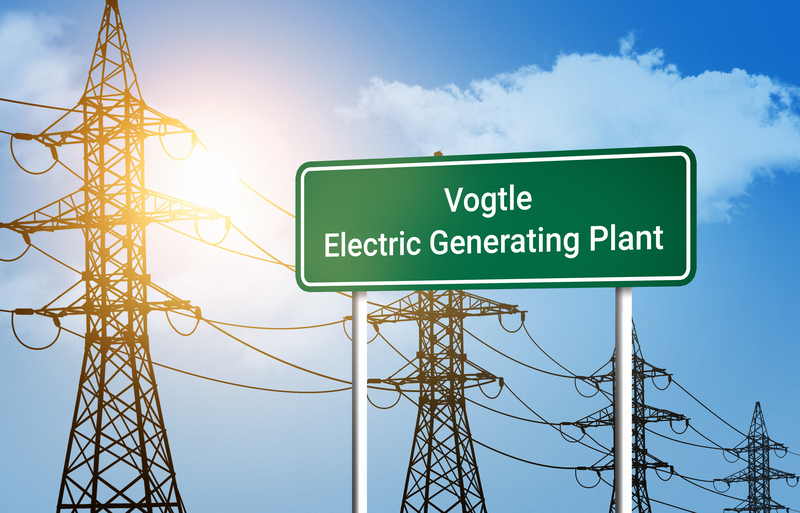 The Vogtle Electric Generating Plant, a two-unit nuclear plant near Augusta, Georgia, is constructing an additional two reactors. The project is exceptional given that it is the only nuclear project under construction in the U.S. — a sign of life for the industry at a time when many nuclear plants are slated for early retirement. Both candidates want to see construction of the additional reactors completed, but Miller, the co-founder of a renewable energy company, is viewed as less friendly toward the nuclear project. The Democrat argues the PSC has not handled the situation responsibly and opposes ratepayers pickup any further cost overruns. The runoff election will be held on Dec. 4, with early voting already underway.